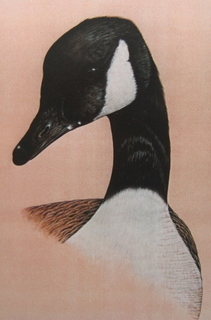 Artist Signed Print of a Canada Goose presented in a cream 14" x 11" mount/mat. 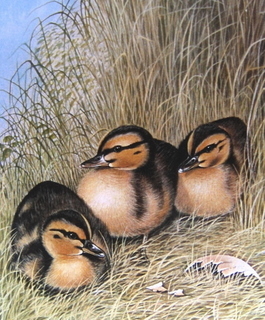 Artist Signed Print of Ducklings presented in a cream 14" x 11" mount/mat. 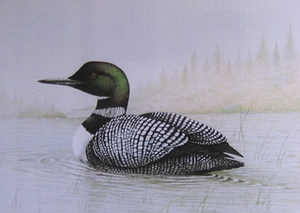 Artist Signed Print of a Loon presented in a 14" x 11" mount/mat. 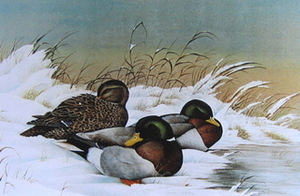 Artist Signed Print of Mallards presented in a cream 14" x 11" mount/mat. 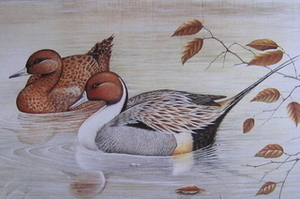 Artist Signed Print of Pintails presented in a cream 14" x 11" mount/mat. 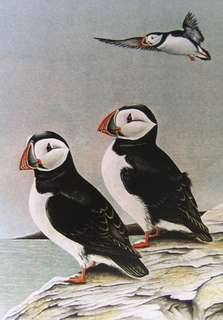 Artist Signed Print of Puffins presented in a 14" x 11" mount/mat.